Time4Trip started its operation in India in 2003 , with objective of achieving new levels of service excellence through specialization in each of our products, time4trip has come a long way and has grown with its full strength to become a premier travel organization. 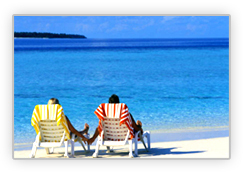 Time4trip, the full service travel agency, is there with you throughout your travel. Our services begin once we sell you the ticket/tour and end only when our client reaches home safely and satisfied with all our arrangements. We constantly deliver the right product, at the best prices, backed by exemplary personal services-we believe in long term partnership. In just a few years, we were one of the first companies to offer a full service for handling complex ground arrangements for multi-destination visitors. This entrepreneurial spirit and ability to anticipate the trend, has lead us to heights of success. We are the first to bring new products and tour opportunities to the table. We provide comprehensive travel services to our corporate and individual clients. The range of our services includes holiday packages within India as well as abroad, air ticketing, hotel reservations, outbound travel, inbound travel, group travel requirements.